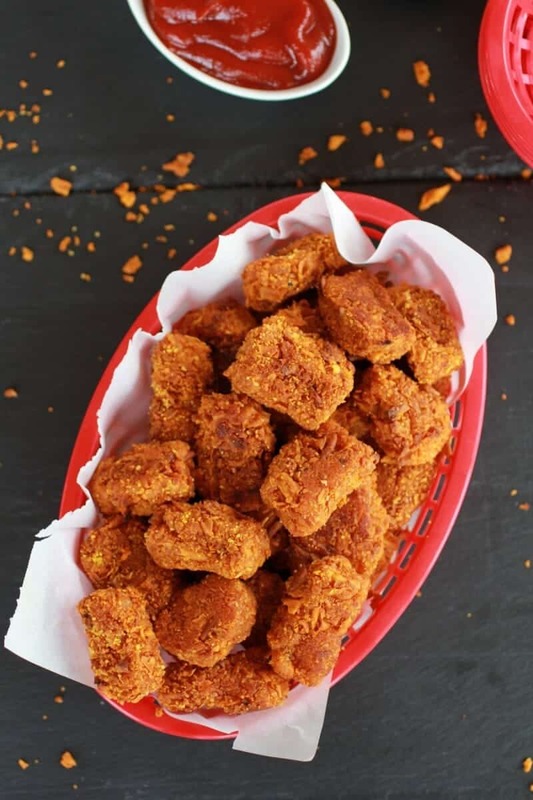 Sweet Potato Parmesan Tater Tots. Guys, it is mad snowing out right now. Whats new, right? It has been snowing since September and won’t stop till June up here. Oh man, that’s still four months. My brother Brendan is currently in LA. I say currently because he wanders, like all over the country, no actually all over the world. He just got back from snowboarding all over Europe. He started in Turkey and from there he went to Germany, Austria, Switzerland, back to Germany, then on to Sweden, back to Turkey and finally back to California. Wow, rattling that all off just makes me tired. He is twenty-two, I am pretty sure he has seen more of the world than most eighty year olds. So, yeah know he is in LA and apparently it is 80 degrees and sunny. I am jealous. He is probably skateboarding (or maybe on his bike, who knows) around the La Brea Tar Pits, while stuffing his face with endless amounts of tacos from all the AWESOME food trucks that are parked on Wilshire Blvd come 10:30am. If you have never been to LA, you need to go just to eat from all the food trucks. They are all over, making the tiny streets even more impossible to maneuver. Ugh, LA traffic is the worst. There are many reasons why living in LA was not for me, but the traffic was high up on my list! It is hard to handle. Although, right now I think I would trade the snow for the traffic and 80 degrees. There was this food truck called Fresh Fries. Yeah, Fresh Fries. They made fancy fries and covered them in all kinds of crazy sauces. It was kind of awesome. I mean it was a truck devoted to all things fries. How could that not be awesome? The sweet potato fries were amazing. 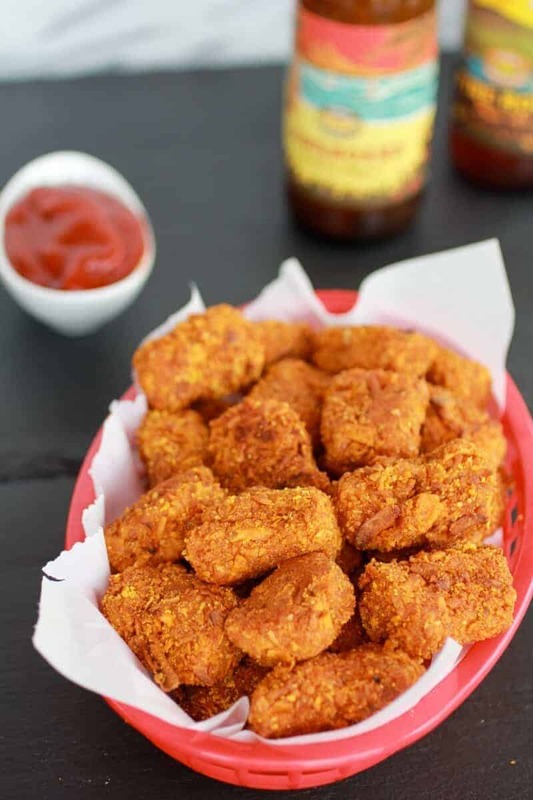 I feel like these sweet potato parmesan tater tots with a spicy sriracha ketchup belong on their menu. I know they are technically not fries, but honestly they’re better. I rolled them in a coating of crushed sweet potato chips and baked them instead of frying. The results were so good. Crunchy outside, soft inside. The parmesan just put them over the top good. Like shovel one in after the next. It’s a good thing that one, they are baked and two, the sriracha ketchup adds some heat so water breaks are necessary. Sweet, cheesy pillows of sweet potato parmesan heaven! Crunchy outside, soft inside. The parmesan just put them over the top good. Preheat the oven to 400 degrees. Prick the sweet potatoes all over with fork. Bake directly on the rack until tender, 50-60 minutes. Allow to cool 10 minutes. Once cool use your hands to peel away the sweet potatoes skin. It should just easily slip off. Place the potatoes in a medium size bowl and mash with the butter. Stir in the parmesan cheese, salt and pepper to taste. Grease a baking sheet with olive oil and place the sweet potato chip crumbs (I recommend pulsing the chips in your food processore, you want fine crumbs, like bread crumbs) in a shallow bowl. Scoop about 1 tablespoon of the sweet potato mixture into you hand and roll into a cylinder. The sweet potato mixture will be wet, but this is fine. The shape does not need to be perfect and you can fix it once you have rolled them in the chips. Roll the sweet potatoes in the chips and coat well. If you need to re-shape the cylinders do so now. Place on the prepared baking sheet. Repeat until all of the sweet potato mixture is gone. Spray the tater tots with cooking spray and then sprinkle with more parmesan cheese if desired (do this!). Bake for 15 minutes and flip the the tater tots over and bake another 10-15 minutes or until golden and crisp. 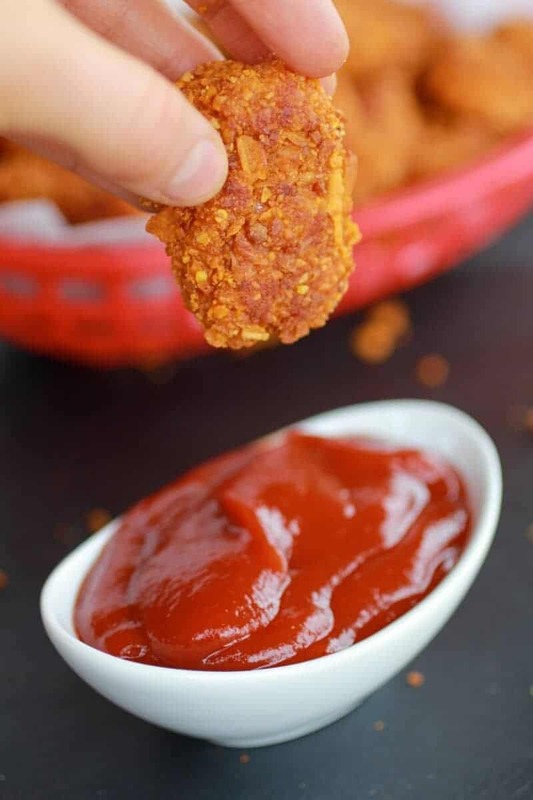 Remove from oven and serve immediately with the spicy sriracha ketchup. To make the spicy sriracha ketchup combine the ketchup and the sriracha in a small bowl. I guess I will just have to pretend I am back in LA! Oh my gosh! I just love this recipe!!! I love that you are using sweet potatoes:) I can’t wait to try these…I am sure my family will love them. Thanks so much for sharing! I adore sweet potatos =) I’ve never tried them like this, though. Pinning it to make later. drool. 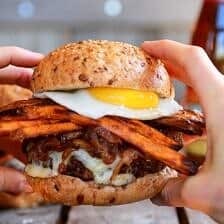 I’m making these for dinner tonight! Wow these look amazing! 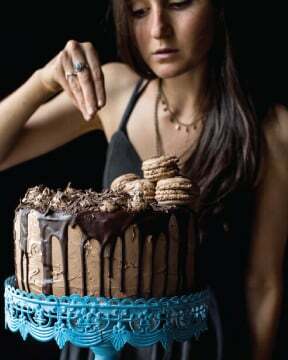 I’m totally inspired and are putting these on my list to make soon! WOW! 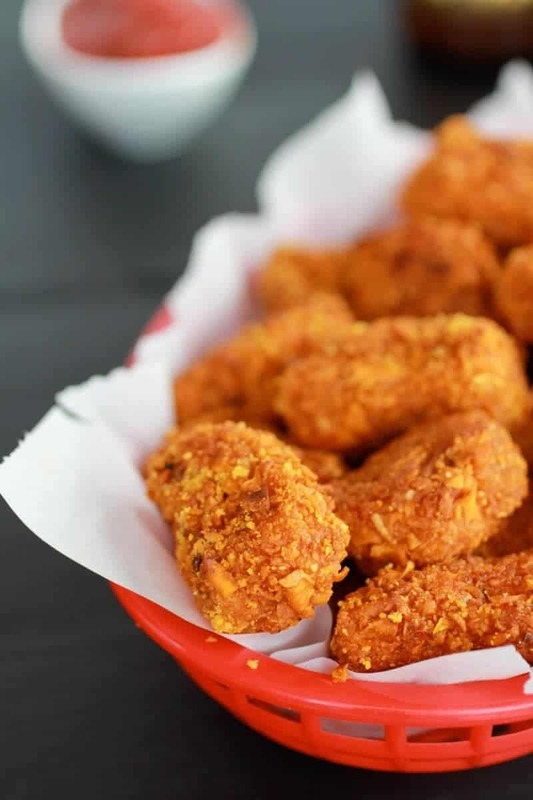 These yummy bites look mighty mouth-watering. SO happy you shared at Weekend Potluck. They look great. I love sweet potatoes and this is one more way to eat them. Thank you for sharing. I love sweet potatoes. I can’t wait to try these. I found your recipe on the Foodie Friday blog hop. I submitted Venetians. Hope you get a chance see them. Yummy! I made a couple of other dips. One was a chipotle mayo and the other was srirachi mayo. Delish! I love sweet potatoes and I’m so excited to try these. Thanks for sharing. These look amazing! 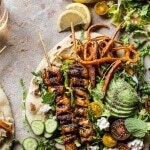 I’ve pinned this recipe and can’t wait to try it! Thanks for sharing on Foodie Friends Friday! These look amazing! We love sweet potatoes! Thanks for sharing at Church Supper. Have a blessed week & come back soon. Wow, these look really good. We tried making our own sweet potato fries once but ran into trouble trying to cut them because the sweet potatoes are so hard. I looks like these wouldn’t have this problem. I am always looking for new appetizer-like dishes. I will definitely be making these soon. And sriracha ketchup? What a great idea and will go well with so many other dishes! I need to confirm…yes, it’s currently about 75 degrees F and sunny in LA 🙂 yesterday we hit the mid-80’s! But hey, I hope your oven warms up your place, because these look mighty delicious! Ha, I am so jealous. The oven can only do so much! Sweet potato! Love it! Another must try! These look so good! Thank you for linking up on Foodie Friends Friday! Please come back this week to join us again! You have some crazy snowboarding brothers! These tots make the top pf my must have list! Thanks for sharing at Show Me Your Plaid Monday’s! These sound awesome. My 3 year old loves sweet potatoes but the rest of us don’t. Gotta try these, I think these will please everyone. Stopping by from All My Bloggy Friends. I’ve never had sweet potato tots, but I looove me some sweet potatoes! Will have to try this. Thanks! i LOVE sweet potatoes! these look amazing, i can’t wait to try them! These look yum! I’d love to have you link this to Titus 2 Tuesday this week on Cornerstone Confessions.. I hope to see you there. Do you think it’s possible to bake the sweet potatos the night before to make it quicker to assemble the next night at supper? Yum! These look wonderful! I’ve bookmarked these because I need them! 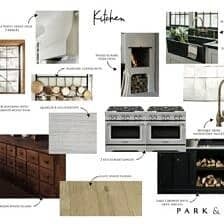 This is an invitation to join my blog’s monthly roundup, Pantry Party. Our theme this month is “breaded.” You should consider entering either this recipe or another wonderfully breaded recipe into the roundup! 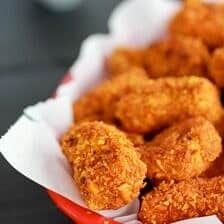 I am so making these this weekend…I cannot resist a tater tot…but especially a sweet potato one! These look amazing. 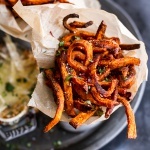 You can never go wrong with sweet potato’s and these look absolutely delightful. 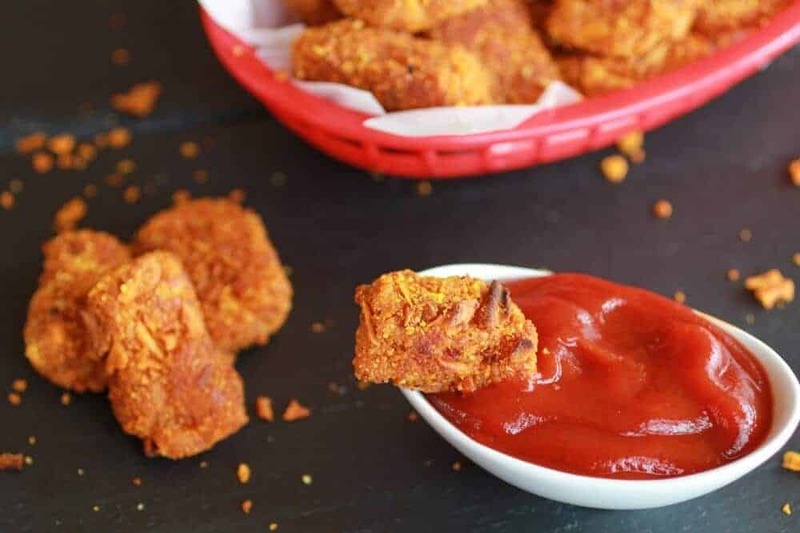 One of my favorite sauces with sweet potato fries is a mixture of mayo, ketchup, and barbecue sauce I bet it would go wonderfully with these cute little tots! Those look awesome! My little lady loves baked sweet potato fries, can’t wait to try those! Stunning photos and wonderful food! Pinned it. Thanks for sharing on Two Cup Tuesday at Pint Sized Baker. Hope to see ya again Monday night! Just stopping by from the Marvelous Mondays link party. Those tater tots look so good! I’m pinning them! Yum! Definitely pinning these so I can make them later. Stopping by from Marvelous Mondays! These look delicious!! I LOVE sweet potatoes and what could be better than adding parmesan! For sure trying these out, and pinning now 🙂 Thanks for posting! What a great recipe! 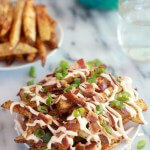 I am looking for ways to get my kids to expand their potato diet..I think this could be it. This is it! My 4 year old sister loved these! Yummy! I found you through the marvelous Monday link up. Definitely try this recipe out…maybe my hubby will eat sweet potatoes in this form. Yum! 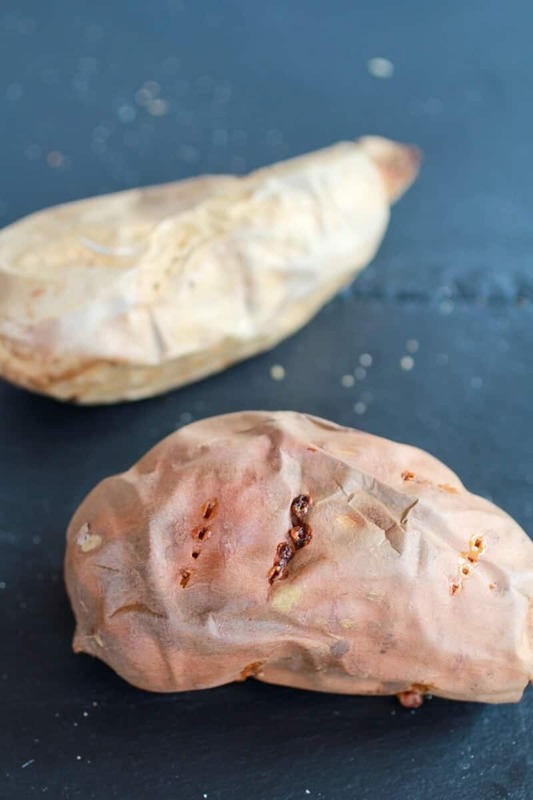 We love sweet potatoes in our house, I am definitely trying these! When you say “sweet potato chips,” do you mean something like Terra Chips? Like these? http://www.terrachips.com/our-chips/sweet-potato-chips …or do you mean something else? 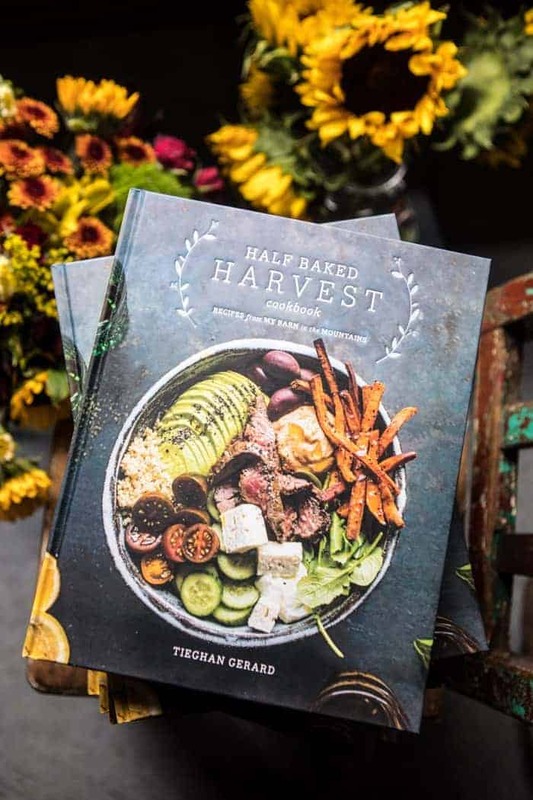 This looks like an awesome recipe…I want to try it out! Yup, that is exactly what I mean! I hope you enjoy these! YAY! Thanks for following me! These look heavenly! I’m a huge fan of french fries, and a french fry food truck would get regular business from me. My waistline is happy that such a thing does not exist in my neck of the woods. Anywho, I am also newly in love with sweet potatoes, and everything is better with parm. Definitely pinning this one! Thanks for pinning! I hope you enjoy these! 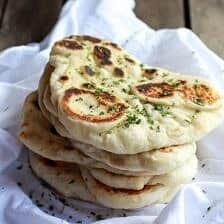 Just wanted to pop in and congratulate you on being a featured recipe from last week’s Weekend Potluck. These little morsels look divine! Can’t wait to try them. Be sure and pick up a featured button on the right side of our blog if you don’t already have one. Have a great weekend! Thanks so much for featuring these! Have a great weekend! 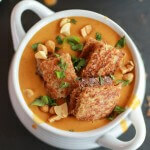 I have a recipe that uses sweet potatoes as ‘french toast sticks’ by baking a coating onto them. 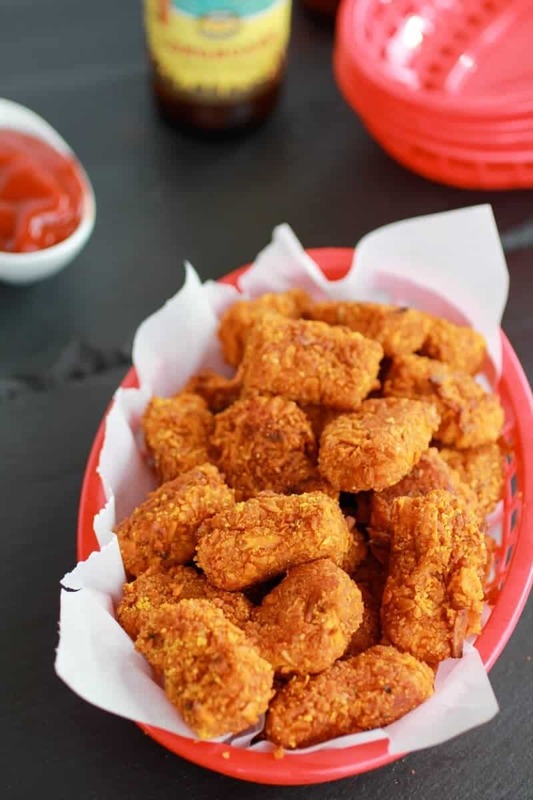 These remind me of the savory and tot version. Mine are sweet and sticks. I love these!! Ok, wow I am coming to check those out they sound amazing! Oh my gosh, these look amazing! And yes, we’ve already broken out the flip flops in Southern California… Luckily, I live about 45 minutes north and we don’t have that icky traffic! Oh man, I am so jealous!! Wow, these look so yummy! I’m always looking for ways to get our kids to eat sweet potatoes. Pinning! Thanks fo pinning, I wish I could say the same about the warm weather! I found you through the Sundae Scoop Link Party. YES! I hope you love these! These are so tasty! I just made them, and wow do parmesan and sweet potato taste wonderful together! I didn’t have sweet potato chips, so I subbed panko bread crumbs for the outside coating and they were delicious! Yay!! Thanks so much for trying them Caroline!! I am so glad you liked them! WOW ! 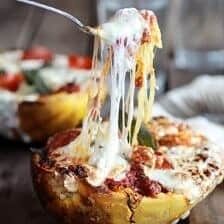 looks awesome, but can i use boil potato instead of baking? Yes, I think that would work fine. Thanks, hope you love these! Hi Angela! I think that you could sub a 1/3 cup of flour and it would work perfectly! The cheese was mostly for flavor, but since I do not know how they would hold up with out it I would sub a little flour to be safe! Hope it works and I hope you and your friend love these! I made these tonight for my wife and I, and unfortunately I was very disappointed. After baking them for 30 minutes, they were still mushy. Any ideas what I did wrong? I am so sorry! I have had so many people comment saying they loved these. Did you add all the parmesan cheese? Also, it is really important to let the tater tots sit on the counter for 5 to 10 minutes after they come out of the oven. This way they have a little time to set up and harder. If you did all that, you could try adding 1 egg and 1/4 cup flour to mix. The egg should help the tater tots firm up. Hope this helps and again I am sorry they were a disappointment! That bums me out. Hi! These sounded AMAZING so of course, I had to try them. Unfortunately mine turned out really dry!! Any ideas what I could have done instead?? I think maybe there wasn’t enough butter! Many allergies; cows milk, gluten, nightshades…so subbed sheep’s manchego, which I tolerate well and goat butter. A smash hit with both a ketchup and mayo siracha side option. Served with a low and slow cooked pork roast pinela. Perfect side dish. I also tripled the dish for freezing! Oh yum!! So happy you loved these! Thank you! These look great, just put them together for Thanksgiving. What do I bake the assembled tots at? 400 degrees? Thanks! Yes, 400 degrees. Hope you love these! subject. Fine together with your permission let me to grab your RSS feed to stay updated with imminent post.